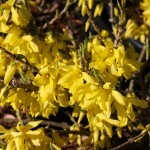 A low spreading shrub with bright yellow flowers in the early spring. The foliage is bright green, turning yellow in the fall. Takes average soil and full to part sun. 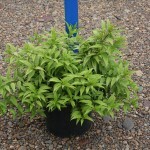 Use in mass plantings or a shrub border. 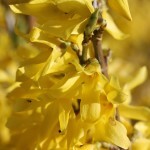 Not your grandma's Forsythia, this is neat and tidy. Introduced from France in 1995. PP 9,104.